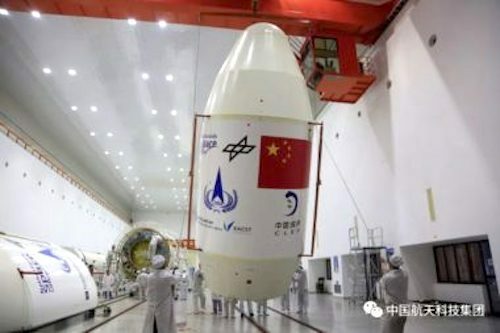 Recently, Chinas lunar exploration project has new tasks. The launch of Change 4 lunar probe is imminent, which will achieve the first soft landing on the back of the moon. As the backbone of deep space exploration in China, the TT&C stations under the Xian Satellite TT&C Center are preparing carefully for the Change 4 mission. At 9:00 a.m., in the computer room of Xian Satellite TT&C Center, located in the northwest border of China, scientists and technicians are conducting final debugging exercises for Change 4 mission. Zhang Zhuo, Assistant Engineer of Kashgar TT&C Station, Xian Satellite TT&C Center, said: In the early stage, through studying the mission documents, we sorted out the key and difficult points in the mission process, conducted the whole mission process and emergency plan drills many times, and regularly checked the antenna equipment in view of the cold winter weather and frequent sandstorms. Ensure the ability to perform tasks at any time. It is understood that Kashgar TT&C station is the main component of Chinas deep space exploration network. 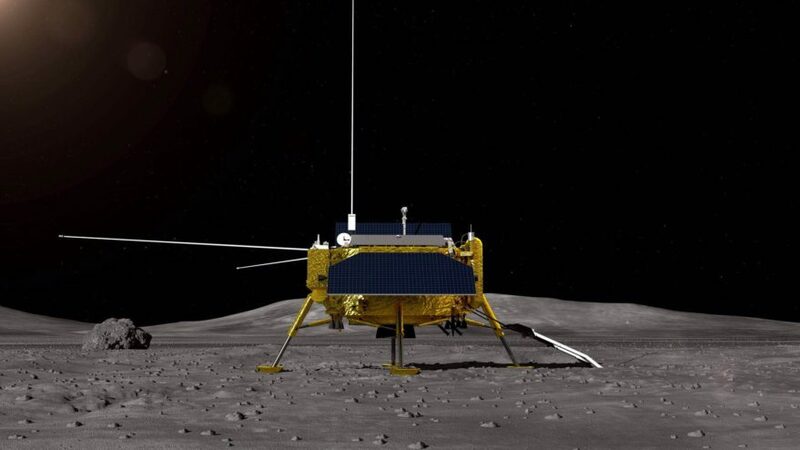 During this mission, the station passed the Queqiao relay satellite launched earlier, bypassed the front of the moon, controlled the precise landing of Change-4 at the designated position on the back of the moon, and carried out inspection. Zhang Lei, engineer of Kashgar TT&C Station, Xian Satellite TT&C Center, said that the back of the moon has always been a forbidden area for ground communication and TT&C. This time, we will build a communication bridge between the ground and the back of the moon through Magpie Bridge to ensure that Change will not lose contact. This is an innovative attempt, which is the first time in the world and has no experience to draw lessons from. It is a great challenge and of great significance for us. During the mission, Jiamusi TT&C Station, located in the West Antarctic Satellite TT&C Center, is responsible for controlling the important actions of orbit correction and near-moon braking during the flight of Change IV. At the same time, the final attitude of the patrol assembly before the soft landing on the back of the moon should be adjusted to ensure the success of the landing. Yue Shilei, engineer of Jiamusi Deep Space Station, Xian Satellite TT&C Center, said that in the course of the lunar landing, only 720 seconds in the power descent phase will undergo seven stages of continuous attitude adjustment. Every minute must be contended for, and no loss can be made. In order to ensure the successful completion of the task, we have always been meticulous, not let go of a doubtful point, leaving no hidden dangers, high standards completed the preparations, waiting for Change to enter the Moon Palace. 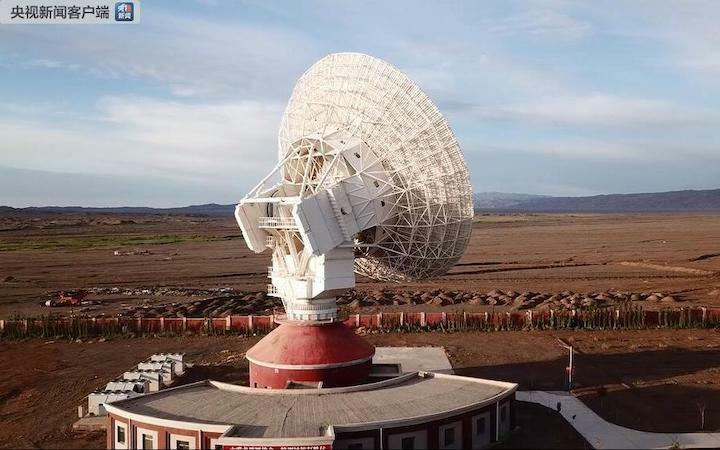 Jiamusi TT&C Station of Xian Satellite TT&C Center is equipped with the deepest space detection antenna with the largest aperture, the highest receiving sensitivity, the strongest continuous wave transmitting power and the longest operating distance in Asia. Its deepest space detection range can reach 400 million kilometers. Cai Boyu, Assistant Engineer of Jiamusi Deep Space Station, Xian Satellite TT&C Center: At the beginning of 2014, the control mechanism of Yutu lunar rover broke down. We withstood the pressure and overcome difficulties, and finally successfully wake up Yutu. After preliminary preparation, we have the ability to implement TT&C communication to the back of the moon. We will continue to shoulder the banner of Chinas deep space exploration and write more Chinese miracles in the vast deep space. China has launched the first mission to land a robotic craft on the far side of the Moon, Chinese media say. The Chang'e-4 mission will see a static lander and rover touch down in Von Kármán crater, located on the side of the Moon which never faces Earth. 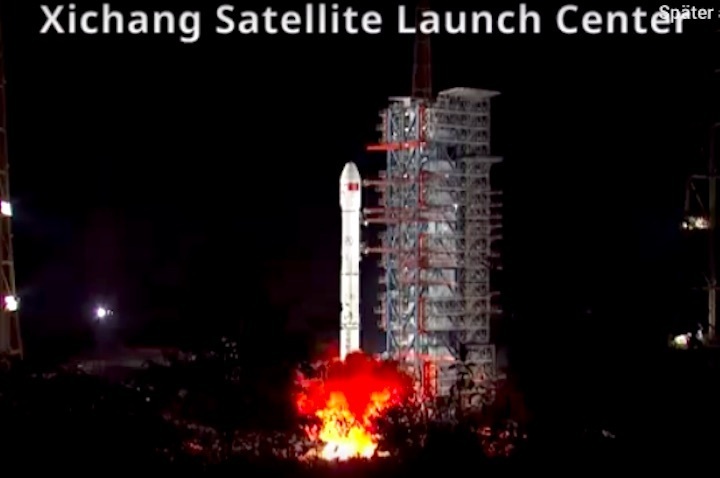 The payload blasted off atop a Long March 3B rocket from Xichang Satellite Launch Center. The mission will pave the way for the country to deliver samples of Moon rock and soil to Earth. The landing will not occur until early January, when the probe will descend on thrusters and touch down on the rugged terrain of the lunar far side. Von Kármán crater is of interest to scientists because it is located within the oldest and largest impact feature on the Moon - the South Pole-Aitken Basin. This was probably formed by a giant asteroid impact billions of years ago. The landers will characterise the region's geology and the composition of rock and soil. Because of a phenomenon called "tidal locking", we see only one "face" of the Moon from Earth. This is because the Moon takes just as long to rotate on its own axis as it takes to complete one orbit of Earth. Though often referred to as the "dark side", this face of the Moon is also illuminated by the Sun and has the same phases as the near side; "dark" in this context simply means "unseen". The far side looks rather different to the more familiar near side. It has a thicker, older crust that is pocked with more craters. There are also few of the "mare" - dark basaltic "seas" created by lava flows - that are evident on the near side. The powerful impact that created the South Pole Aitken Basin may have punched through the crust down to the Moon's mantle layer. Chang'e-4's instruments could examine whether this was the case, shedding light on the early history of our only natural satellite. The mission will also characterise the "radio environment" on the far side, a test designed to lay the groundwork for the creation of future radio astronomy telescopes on the far side, which is shielded from the radio noise of Earth. The static lander will carry a 3kg (6.6lb) container with potato and arabidopsis plant seeds to perform a biological experiment. The "lunar mini biosphere" experiment was designed by 28 Chinese universities. "We want to study the respiration of the seeds and the photosynthesis on the Moon," Liu Hanlong, chief director of the experiment and vice president of Chongqing University, told the state-run Xinhua news agency earlier this year. Xie Gengxin, chief designer of the experiment, told Xinhua: "We have to keep the temperature in the 'mini biosphere' within a range from 1 degree to 30 degrees, and properly control the humidity and nutrition. We will use a tube to direct the natural light on the surface of Moon into the tin to make the plants grow." 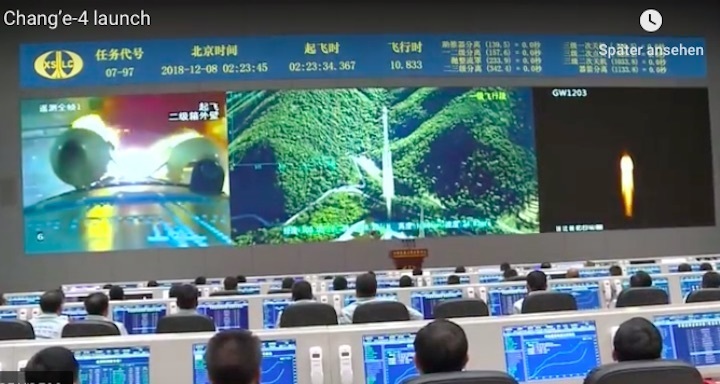 Because the landers on the far side have no line of sight with our planet, they must send data back via a relay satellite named Queqiao, launched by China in May this year. The probe's design is based on that of its predecessor, Chang'e-3, which deployed landing craft to the Moon's Mare Imbrium region in 2013. However, it has some important modifications. The lander is carrying two cameras; a German-built radiation experiment called LND; and a spectrometer that will perform the low-frequency radio astronomy observations. The rover will carry a panoramic camera; a radar to probe beneath the lunar surface; an imaging spectrometer to identify minerals; and an experiment to examine the interaction of the solar wind (a stream of energised particles from the Sun) with the lunar surface. The mission is part of a larger Chinese programme of lunar exploration. The first and second Chang'e missions were designed to gather data from orbit, while the third and fourth were built for surface operations. Chang'e-5 and 6 are sample return missions, delivering lunar rock and soil to laboratories on Earth. China's Chang'e-4 lunar lander and rover mission is making its way to the Moon following launch from the Xichang Satellite Launch Centre in southwest China. 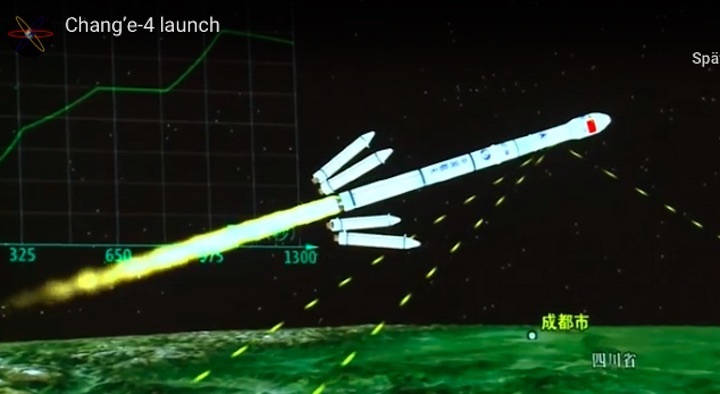 It successfully performed a burn to send the Chang'e-4 spacecraft to trans-lunar injection shortly after. 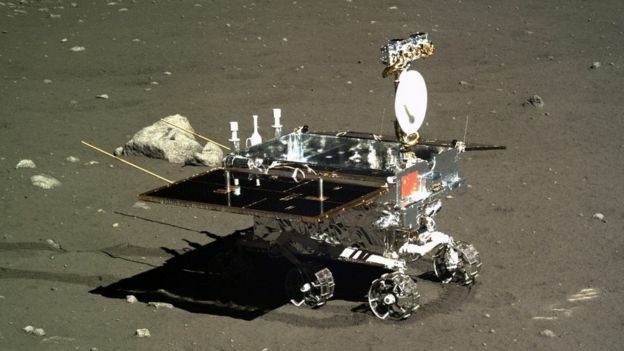 The Chang'e-4 lander and rover carry science instruments for low-frequency radio astronomy, analysing the lunar subsurface, the surface, and its interactions with the solar wind. The craft also carry three cameras and a mini biosphere for a first-ever test of photosynthesis and respiration in the low-gravity lunar environment. The Chang'e-4 mission also includes contributions by scientists from the Netherlands, Germany, Sweden and Saudi Arabia. 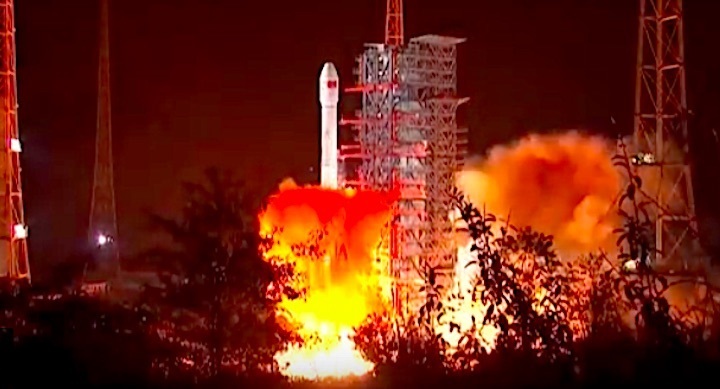 HELSINKI — China launched its Chang’e-4 moon mission Dec. 7, successfully sending the lander and rover into a lunar transfer orbit ahead of an unprecedented attempt at a landing on the far side of the moon early in the New Year. 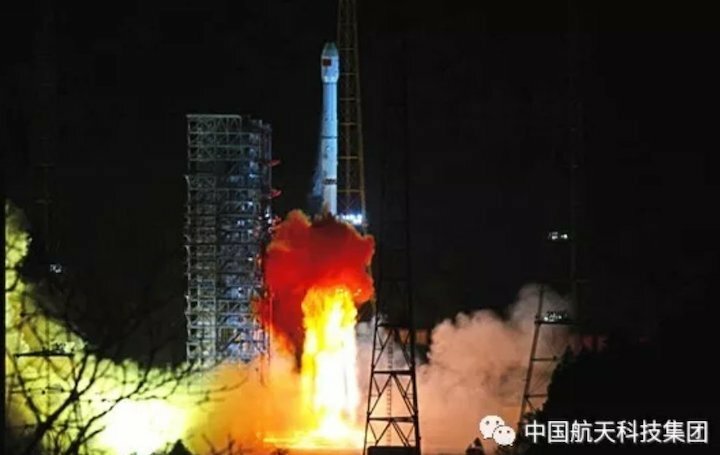 Liftoff of the Long March 3B launch vehicle carrying Chang’e-4 occurred at 1:23 p.m. Eastern time Dec. 7 (02:23 a.m. local time Dec. 8) at the Xichang Satellite Launch Center in southwest China. 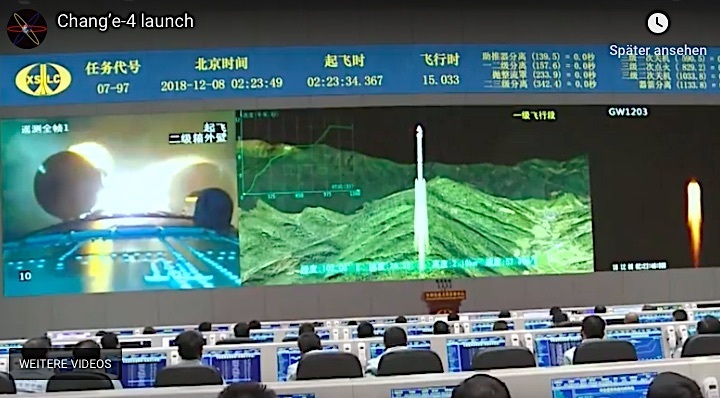 The timing of the launch was revealed only through airspace closure notices and no official live coverage was available, though a group of spectators streamed the event online from a viewing area. 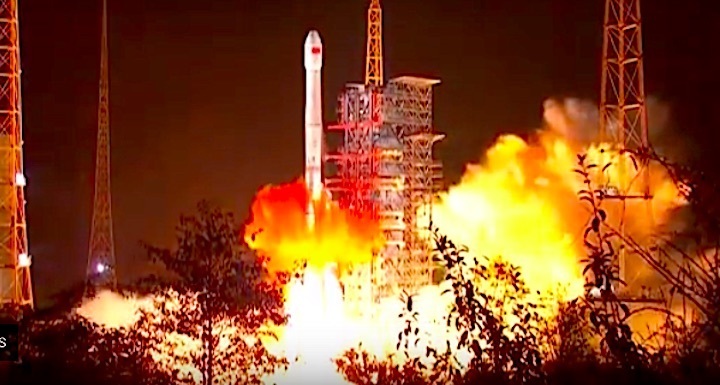 The China Aerospace Science and Technology Corporation (CASC), the main contractor for China’s space program, officially announced success of the launch following trans-lunar injection, just under an hour after launch. The spacecraft now enters a five-day voyage to the moon before lunar orbit injection. The Chang’e-4 mission consists of a lander and rover with a combined mass of just under four metric tons, carrying cameras and science payloads to analyze the lunar surface geology and subsurface, solar wind interactions and carry out low-frequency radio observations in the unique radio-quiet environment on the far side of the moon. As the far side of the moon never faces the Earth, communications with the spacecraft will be facilitated by the ‘Queqiao’ relay satellite launched in May and inserted into a halo orbit around the second Earth-moon Lagrange point in June. From this vantage point between 65,000-85,000 kilometers beyond the moon the Queqiao satellite will have constant line-of-sight with both the Chang’e-4 spacecraft and Chinese ground stations in China, at Kashi and Jiamusi, Namibia and Argentina. 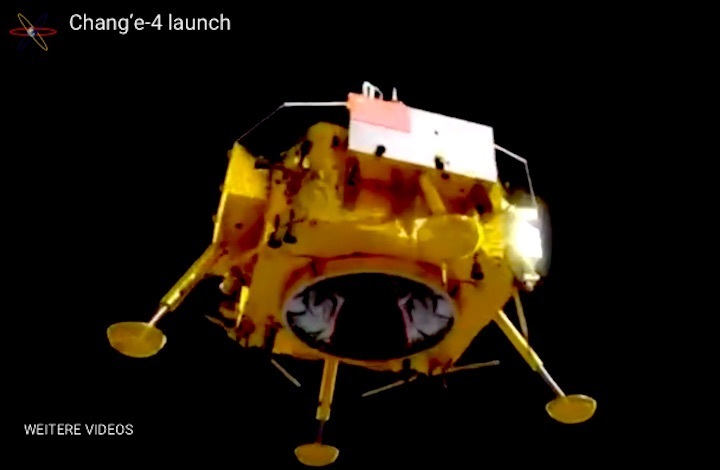 Chang’e-4 was originally planned as a backup to the Chang’e-3 lander and rover mission, which made China the third country to achieve a soft-landing on the lunar surface, and the first since the Soviet Union’s Luna 24 in 1976. The spacecraft have been repurposed for a more ambitious landing on the far side of the moon, which poses far greater challenges and requirements but also the promise of great scientific payoffs. The topography of the far side is far more rugged and variable than the near side, which is marked with vast, smooth basaltic seas or mare, which can be seen from Earth with the naked eye. The far side contains few such maria and the Chang’e-4 mission may bring insight into this mystery. The expected target landing site selected for Chang’e-4 is thus in the relatively smooth southern portion of the 186-kilometer-diameter Von Kármán crater, though automated hazard avoidance during its descent could make the spacecraft set down elsewhere. The crater is situated in the South Pole-Aitken Basin (SPA), a 2,500-kilometerwide, 12-kilometer-deep ancient impact crater of intense scientific interest which could contain exposed material from the moon’s upper mantle. 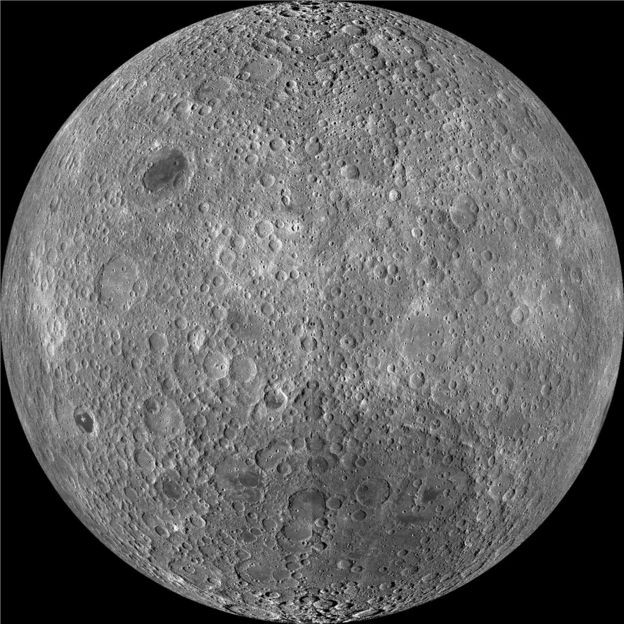 Investigation of the composition of areas of the SPA could reveal clues to the history of the moon and development of the wider solar system. The lander is equipped with a Low Frequency Spectrometer (LFS) and the German-developed Lunar Lander Neutrons and Dosimetry (LND), as well as a Landing Camera (LCAM) and Terrain Camera (TCAM). Like Chang’e-3, the rover will carry a Panoramic Camera (PCAM) and Lunar Penetrating Radar (LPR) which will reveal subsurface geological structures to depths of up to 500 meters. A Visible and Near-Infrared Imaging Spectrometer (VNIS) and Advanced Small Analyzer for Neutrals (ASAN)—the latter developed by the Swedish Institute of Space Physics, Kiruna—will also be aboard. 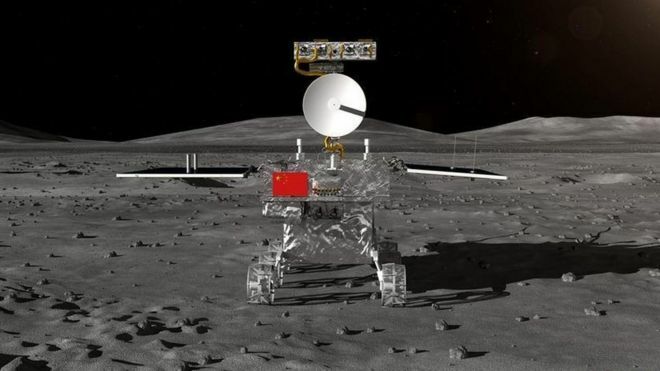 The mission rover, based on the Chang’e-3 Yutu (Jade Rabbit), has also been upgraded for greater longevity and addressing the issue which resulted in Yutu immobilization in its second lunar day on Mare Imbrium. A mini biosphere experiment designed by 28 Chinese universities, containing potato and Arabidopsis seeds and silkworm eggs, will also be part of the mission to test respiration and photosynthesis in the low-gravity and high-radiation environment on the lunar surface.